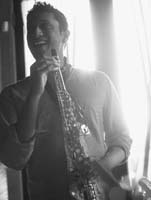 Om Srivastava is Adjunct Instructor of Saxophone at the University of Cincinnati College-Conservatory of Music. He has performed tours throughout the United States and China with notable performances including features at the Chautauqua Institute, New Harmony Festival, and Sichuan Conservatory. 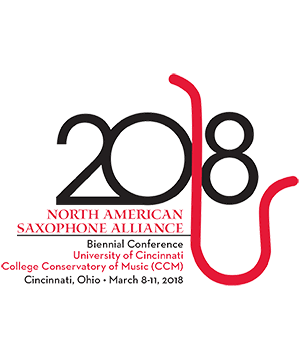 As a chamber musician, Om was named finalist in the Coleman Chamber Competition (2013) and semi-finalist in the North American Saxophone Alliance Competition (2016). In 2013 he released "Through Adam's Fall" with Promethean Quartet and in 2017 released the Indian-fusion solo debut "Antara". In 2015, Om was awarded an IndianRaga Fellowship and this past summer was named a 2017 Fellow at the New Music Sessions in Cortona, Italy. Recent performances include performing alongside Tony Award winner Matthew Morrison and the Lexington Pops, Grammy nominee Fareed Haque at the Lincoln Center, and the RagaTone Ensemble at Joe's Pub in New York City. Om completed his DMA at the University of Cincinnati.